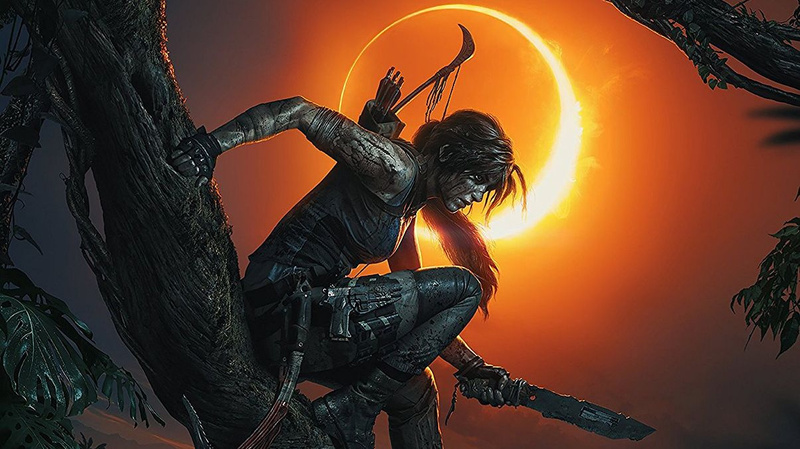 It’s not even been out a month yet, but Shadow of the Tomb Raider is already on sale on the European PlayStation Store. The latest Deal of the Week, you can get Lara Croft’s latest for £39.99 – that’s 27 per cent off. The discounts apply to the beefier Digital Deluxe and Croft Editions too, assuming you want to go the whole hog. While it doesn’t sound like a massive saving on the surface, it’s generally cheaper than what you’ll find in the shops. You can get a standard Blu-ray copy of the game from The Game Collection for £35.95, which is the lowest price we’ve found online, but otherwise you’re going to be paying well above £40 for this. Of course, with the price dropping this quickly, we’d recommend holding out for now if you can – you’re clearly going to be able to get it for pocket change come Christmas. My guess come black Friday you will be able to pick it up for about £20. I still think they are suffering a little from snubbing Ps4 for a year with Rise of the Tomb Raider. Lol, just what I'd expect from this trash reboot series. I will get this when it hits the £20 mark. I finished this up last night. It is definitely the weakest of the three games, but had elements I enjoyed. I think it is time for the series to move on though. A fine if somewhat unambitious game. It certainly doesn't deserve all the abuse being thrown its way from disgruntled fanboys who are still cheesed off about the Xbox release of the previous game. @LaNooch1978 Nah they have every right to be angry, that was the dumbest move I've ever seen from Square Enix and they have made a lot of dumb moves. This is the exact reason I refuse to pay over £40 for a game at launch. Held off buying both this and spiderman for that very reason. I think playstation owners had every reason to feel disgruntled with the previous MS exclusivity deal. Taking an already established multiplatform title and tying it to one platform for a quick buck was a big mistake, and I turned my back on this franchise ever since. Everyone bought Spiderman, bad timing for Lara. I'm going to wait, this will be one of the 12 days of Xmas sales I'm sure. Shadow of the tomb raider is not worth $60, and PS4 players have the right to be angry to this franchise. Update 1.05 made shadow of the tomb raiders audio buggy, im using a surround system. And a lot of the audio is in the back speakers now, and enemies disappear after you die, whole encounters. In the oil fields, have any one encountered any bugs? I play on ps4. I'm holding out alright, for a complete edition. I'll wait for the discounted game of the year edition with all the dlc. It's a good game but the story, at least so far, isn't as interesting as previous titles. Hopefully it picks up, I'm not terribly far in the game. I paid full price for the game because I was stupid enough to be fooled by the trailer which was completely misleading. 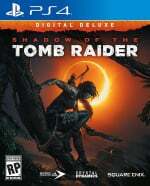 The last square Enix tomb raider I'll buy, I've got the trilogy and think the second one is the best the shadow of the tomb raider is definitely the worst. @Davidtreagus There were so many trailers for the game that it bordered on the obnoxious! How do you feel you were misled? I found the game to be firmly in the "more of the same but with tweaks" category of sequels but as you say the weakest of the three. Not gonna lie, I love this game. Is the weakest of the 3 though. This has black Friday sales written all over it. I’ve seen it on sale for €45 to €30 already last week. I guess it didn’t sell well. That doesn't mean much. Lots of newly released games are sold at a discount in online retail stores, if the digital version's price is the benchmark. They probably realized the digital version of the game is not selling as well as the physical version, and want to adjust for that.The exact same thing happened with F1 2018, to use a completely different genre. It also went on digital sale rather quickly. And most new big games are considerably cheaper on disc through an online retailer (simplygames, base, 365games etc. ), than buying it digitally. The new Spider-Man game costs €60 if I buy the digital version, while the retail one costs me €52 (new). Even bigger, Dragon Quest XI costs me €52 from the digital store, while a new disc version will only cost me €40, that's €12 off. The retail version of AC Odyssey (new) set me back €51, while the digital version would have cost me €66, ... which one did you think I bought?! So, like I said, I think this has more to do with the game selling well in retail but not in it's digital form. The less than stellar scores and now this, yeah, it doesn’t look good at all. People are becoming annoyed to play the same games over and over again. Same Fifas, same Call of Dutys, same Battlefields and Tomb Raiders. This should have dropped earlier in the year. Tomb Raider can't compete with the big boys these days. Clearly suffering the same fate as Wolfenstein.